Thanks to Carlex Design, you can make your Mercedes Sprinter look like a private jet inside. Glance at some of these photographs, and you'd be forgiven for thinking they were taken from the inside of a plush private jet. But you’d be wrong, because they’ve actually been taken from a Mercedes Sprinter van. Yes, really. 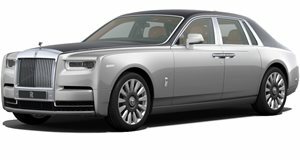 The custom cabin is the work of Carlex Design, and the result is a tempting alternative to the luxurious Rolls-Royce Phantom if you want to enjoy long journeys in crisp comfort. Outside, the Sprinter looks just as unassuming as the standard model, albeit with some minor modifications. The front fascia has had an aggressive, AMG-inspired facelift, and the exterior has been dressed in a monochromatic silver body. Curiously, Carlex Design has opted for wheel covers instead of expensive alloys, perhaps to draw attention away from the swanky interior. Inside, there’s room for four passengers to relax and stretch out in their own personal seat with quilted leather upholstery and retractable arm rests and tables. A center console is positioned between each seat with an angled digital display allowing occupants to watch a movie or enjoy other forms of entertainment. Ambient lighting adds to the relaxing atmosphere, and there’s also a TV on top of the rear row as well as blinds on each window for added privacy. And of course there’s a handy minibar on tap, should you want to host a private party. Don’t think only the passengers will get to enjoy such lavish luxury, however. At the front, the sumptuous seats feature the same diamond-quilted brown leather found on the passenger seats, with matching trim adorning the dashboard and door panels. To create a contrast, a darker brown leather has been applied to the lower section of the dashboard and on the door pulls. A flamboyant wooden center console is placed between the front seats. Elsewhere, the A-Pillars, most of the roof and side panels are coated in Alcantara.